In June 2014, in a bar in Amsterdam, three friends, Edith Beurskens, Josha Jansen and Pien van Wijmen, discovered a common interest. 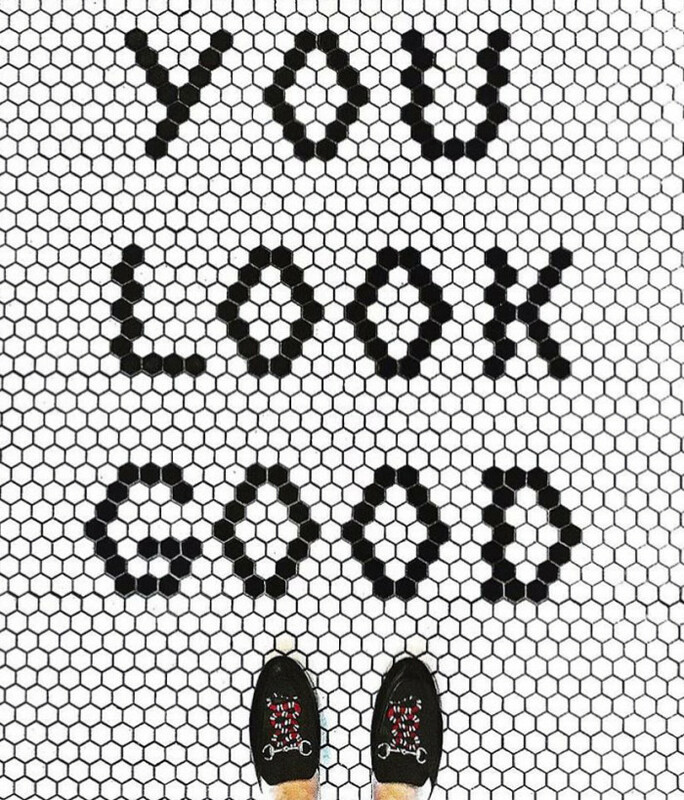 They all had been sharing pictures of their feet on beautiful floors on their Instagram accounts. 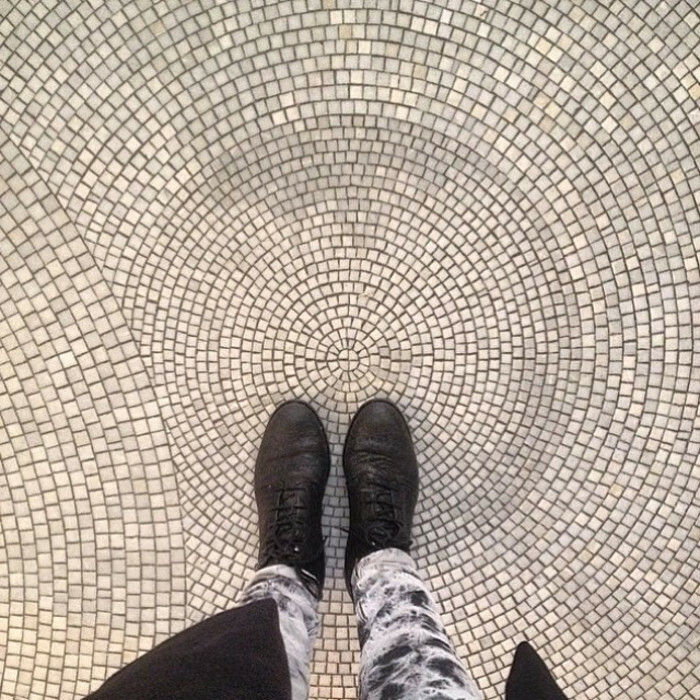 They "had this thing with floors." 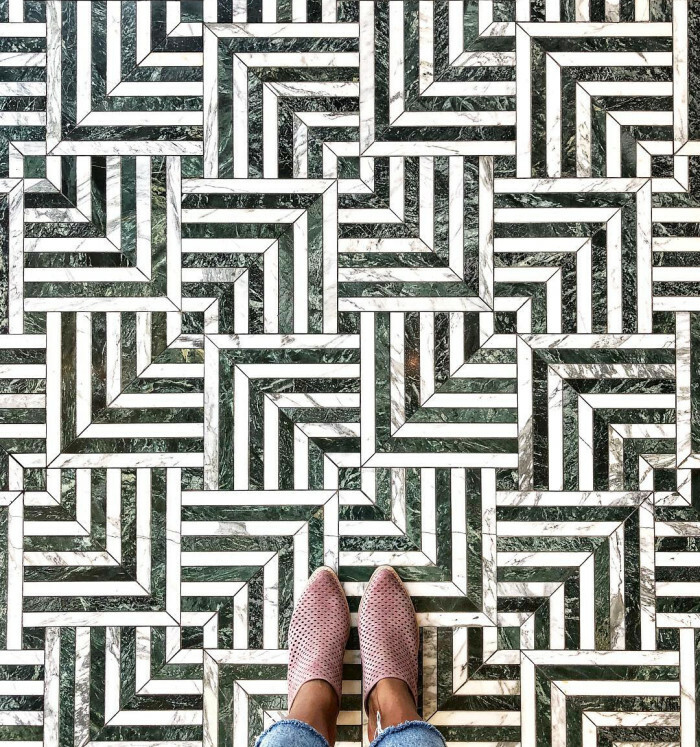 Together, with their love of fancy floors, they decided to create a special Instagram account @ihavethisthingwithfloors, with the tagline “when feet meet nice floors, make a selfeet," and from then on, this endeavor started a life of its own. 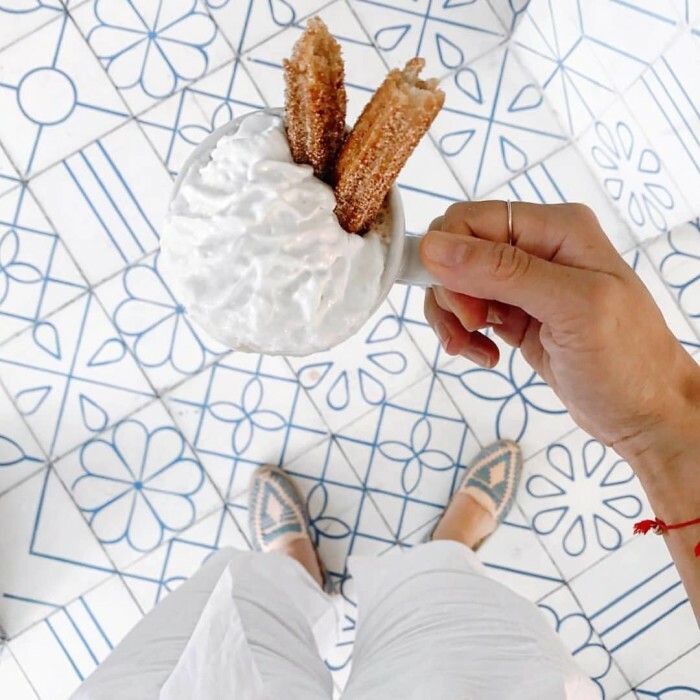 What began with a few followers has grown to almost a million, at 843,000 in summer 2018. 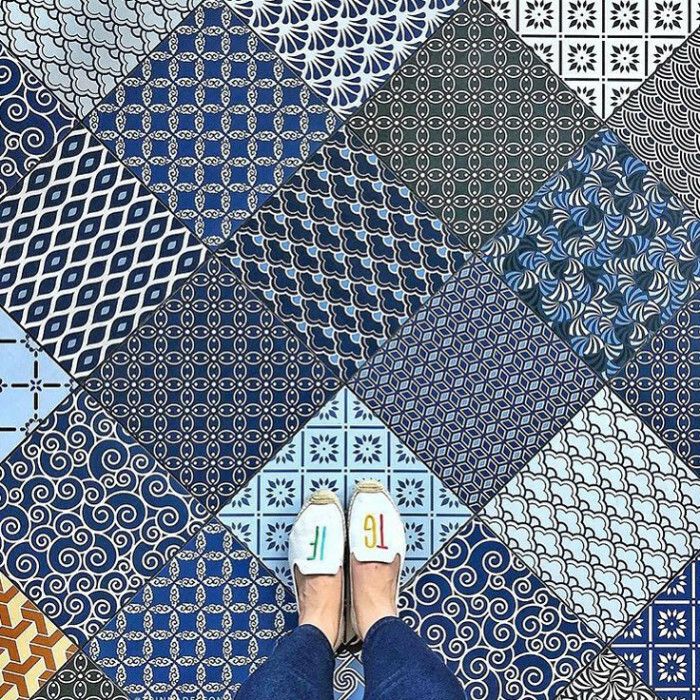 People have used the hashtag #ihavethisthingwithfloors over 700,000 times - which means there are thousands and thousands of floors and shoes to admire! (source: metalmagazine.au). "We are three friends from Amsterdam. We met while working for Marie-Stella-Maris, a Dutch company selling natural mineral water and natural care products. 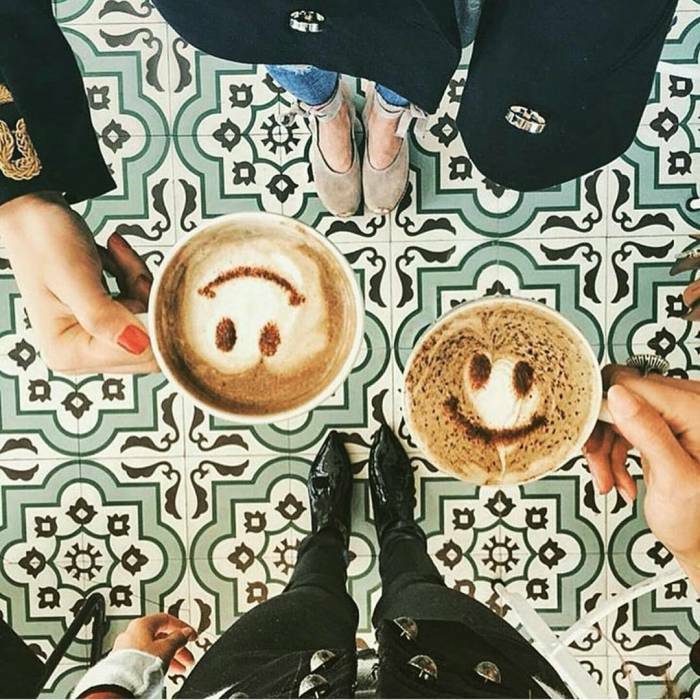 We are Edith Beurskens, Art Director at Marie-Stella-Maris; Josha Jansen, Marketing Communications Manager at Marie-Stella-Maris, and Pien van Wijmen, freelance Communications Specialist & illustrator. 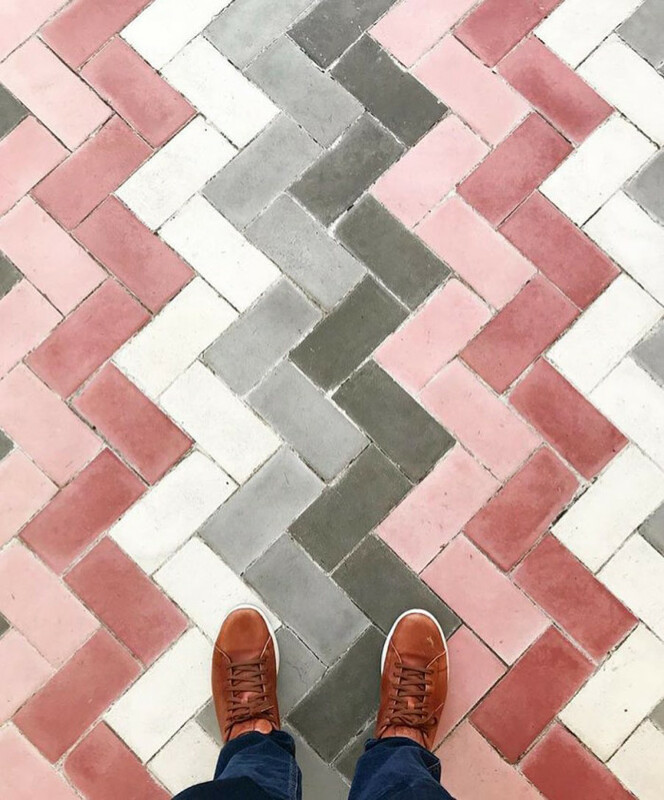 We all live in Amsterdam and we love creating new things, beautiful and smart design, brands with style and an honest story, discovering new music in great new places. 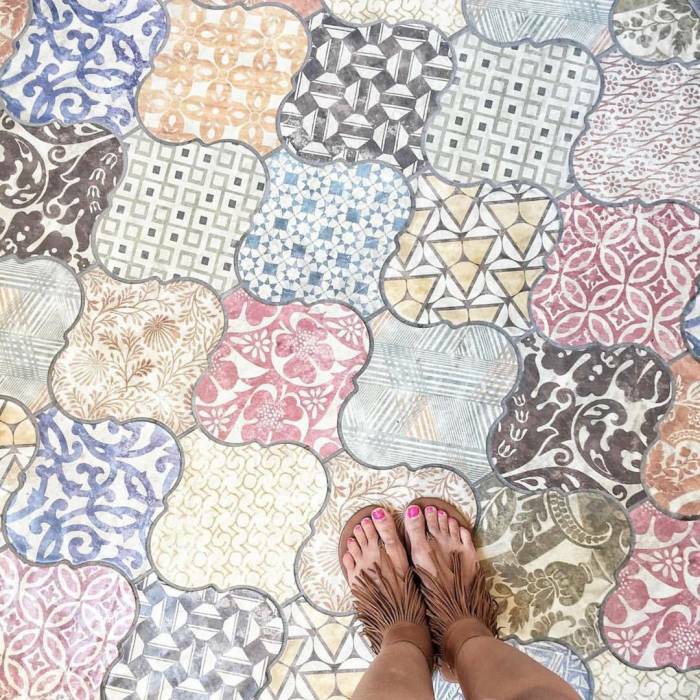 And, of course, we are crazy for beautiful floors!" HOW DID THE PAGE GET SO POPULAR? 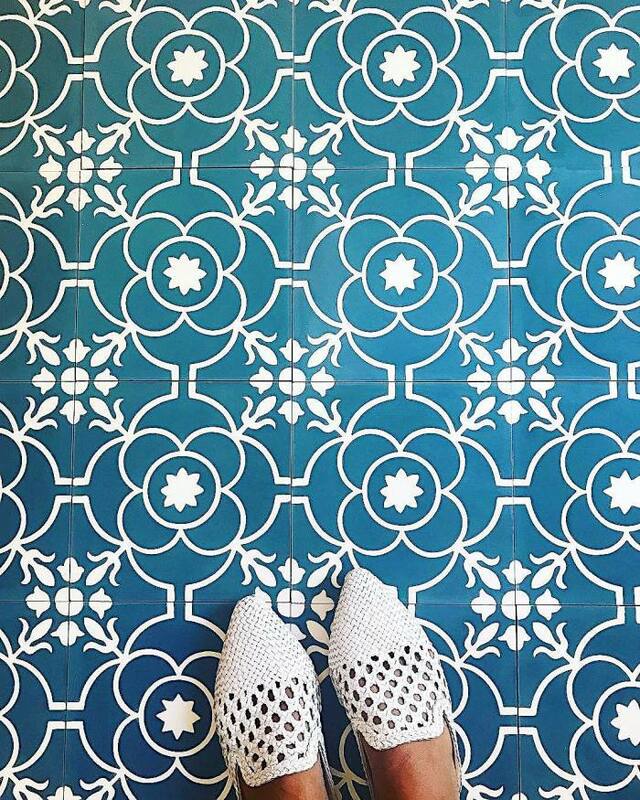 "Just by using the hashtag #ihavethisthingwithfloors. 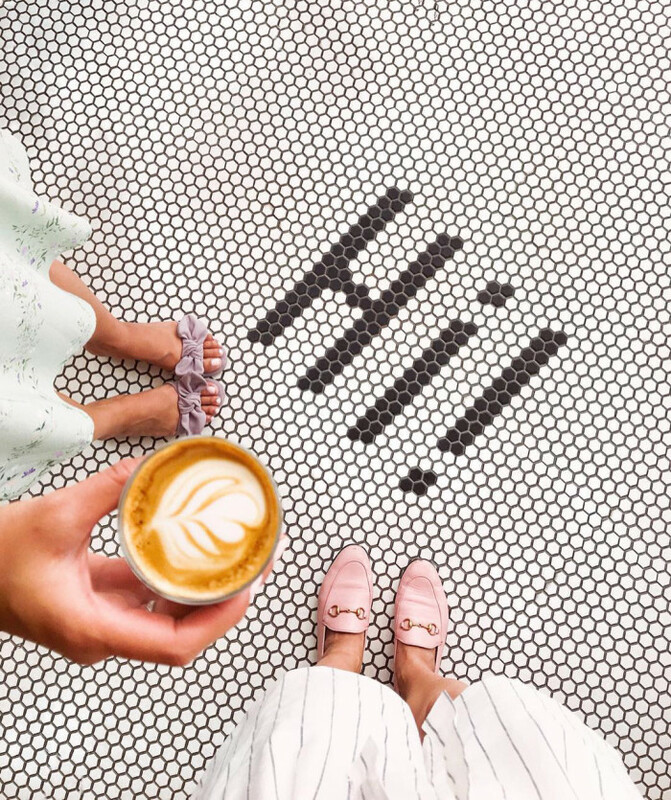 Within a few months our account was tagged and named by huge bloggers, international magazines like Vogue US and celebrities like Reese Witherspoon – after she posted an IHTTWF we gained around 30,000 followers in 24 hours. Even Instagram itself blogged about us," they said. 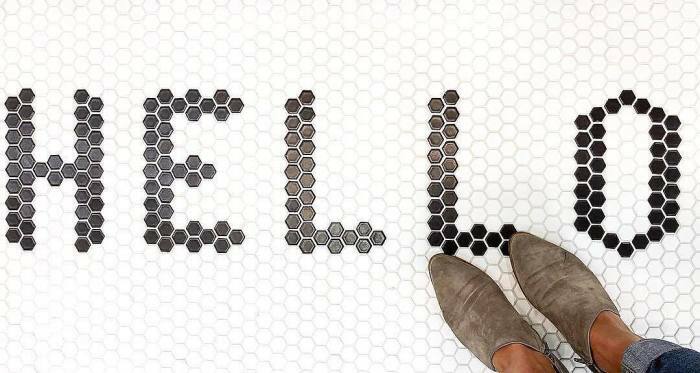 Bedrosians also has a "thing with floors"... and walls and counters and backsplashes! 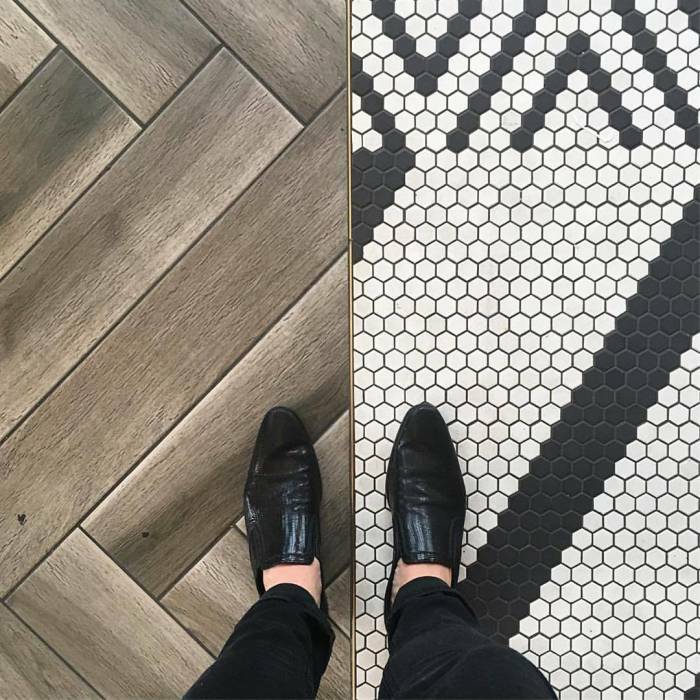 We get so excited when clients tag us on our Instagram in their selfeets, but also their photos of finished projects. 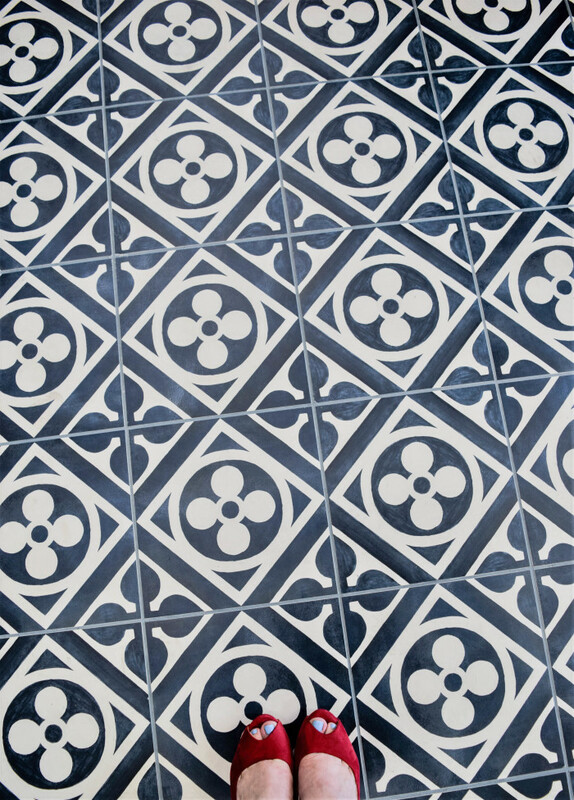 To see all the creative and interesting ways our products are used in homes and businesses brings us a sense of pride and awe. 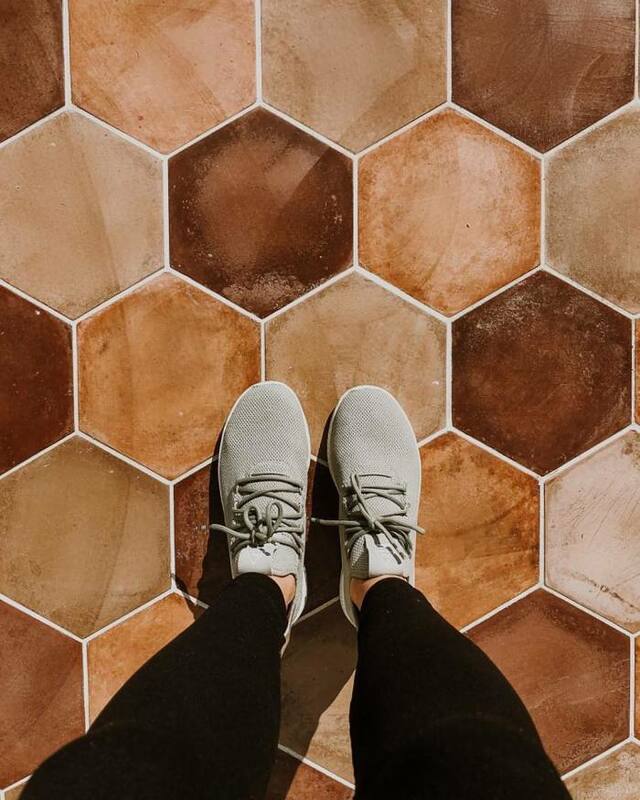 From simple and classic to unique and clever, we are amazed with our clients' vision and ability to make our products part of their homes. 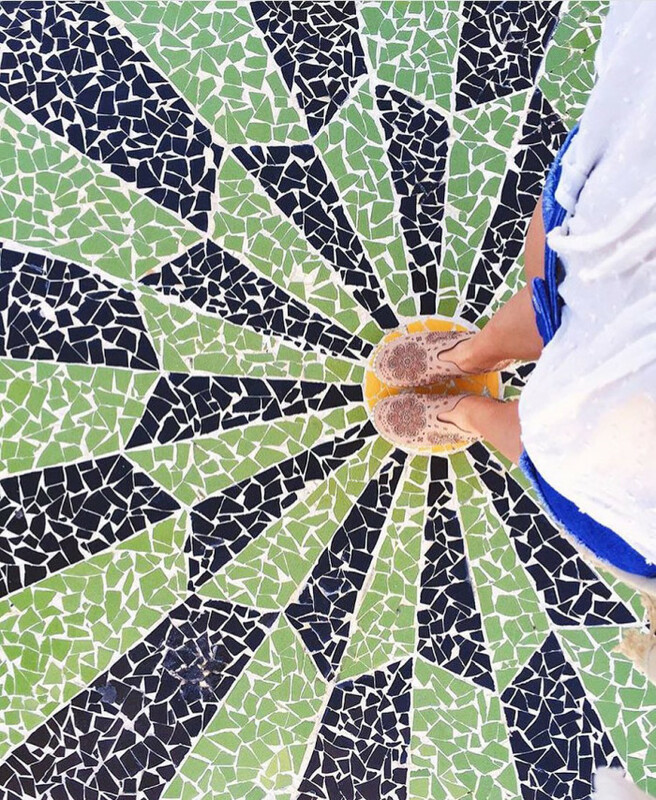 Check out a few of our favorite selfeets. 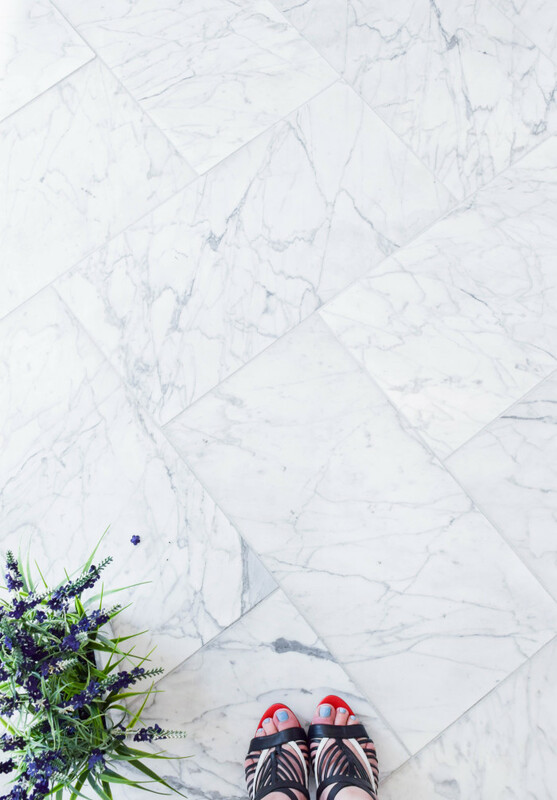 Stunning Statuario 12"x24" honed marble tile floor! 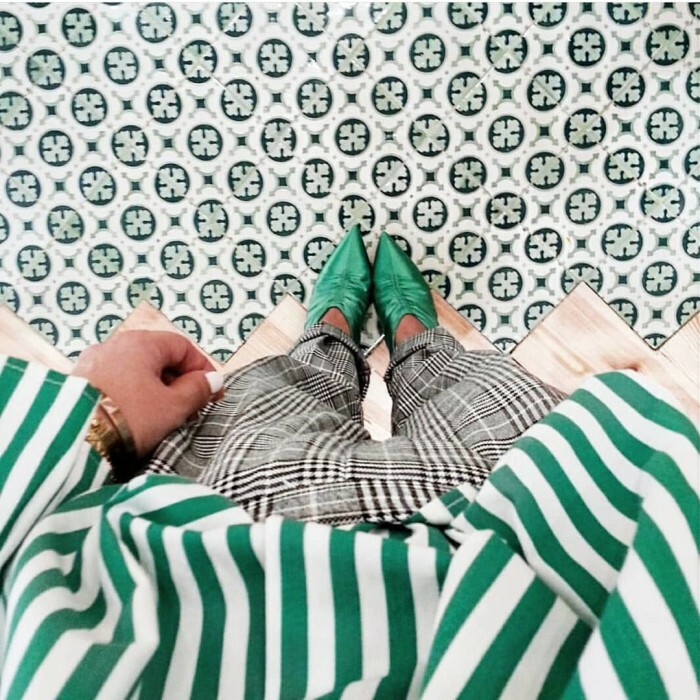 Taking pictures of your shoes atop floors has become so popular, even more Instagram accounts about feet and tile are popping up. 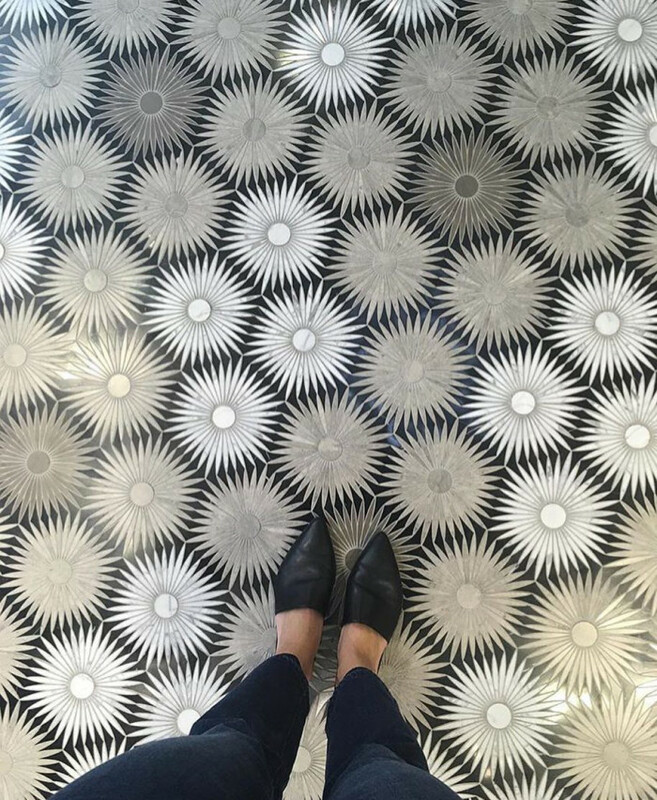 One of our favorites is @ihavethisthingwithtiles, run by Italian architect and designer Gabriela Insana . Her account has over 100k followers, gaining popularity every day. 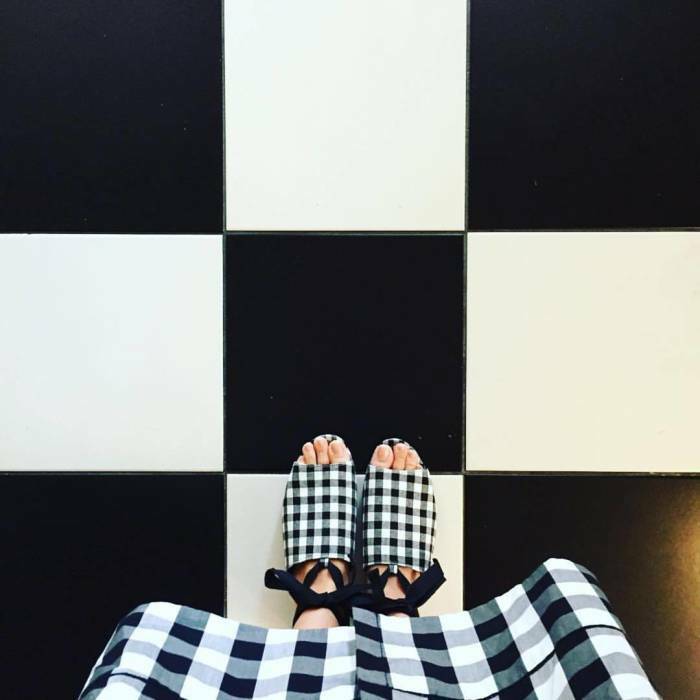 Checkered black and white shoes, dress and tile, oh my! 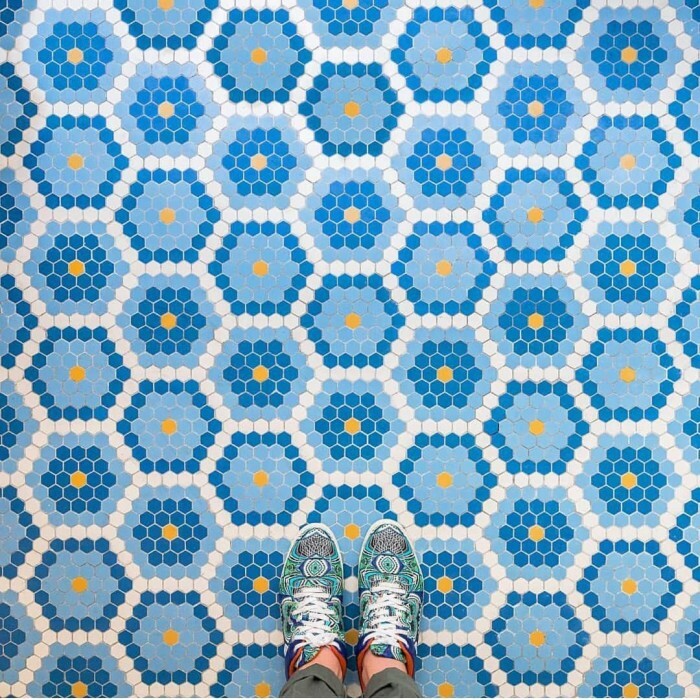 This an outstanding floor in Paris, with some really cool kicks! Do you ever take pictures of the intricate designs on your coffee right before you take the first drink? 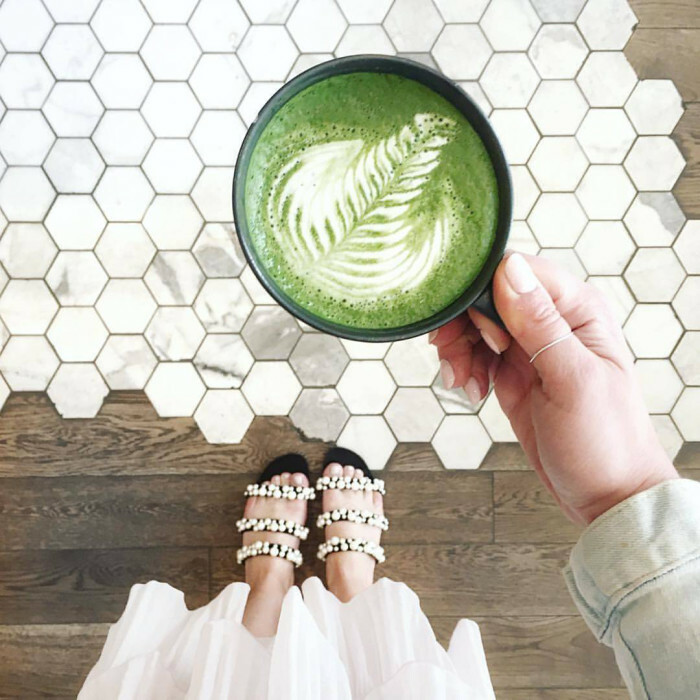 There's even a whole Instagram hashtag dedicated just to that (#coffeeart), but that's a different blog post. 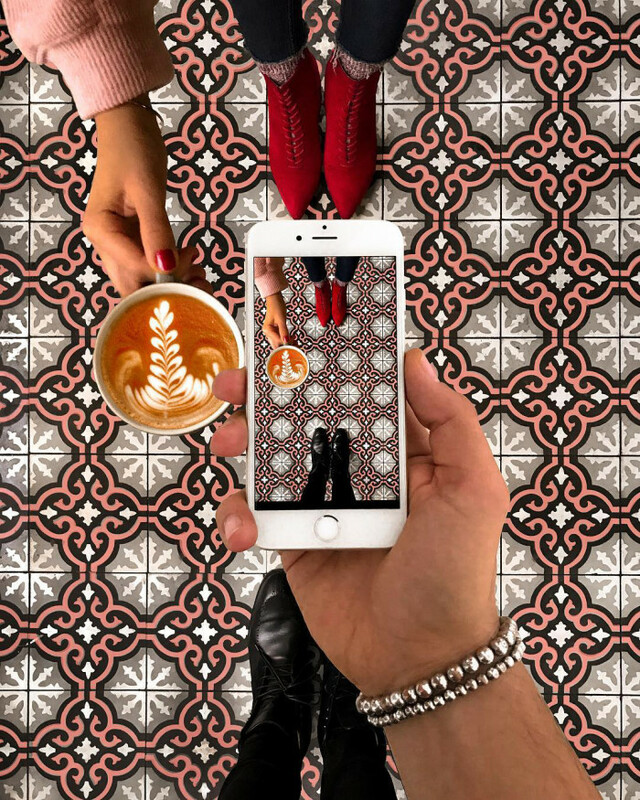 We're loving that people are snapping their feet, tile AND coffee! So much to enjoy in one picture! 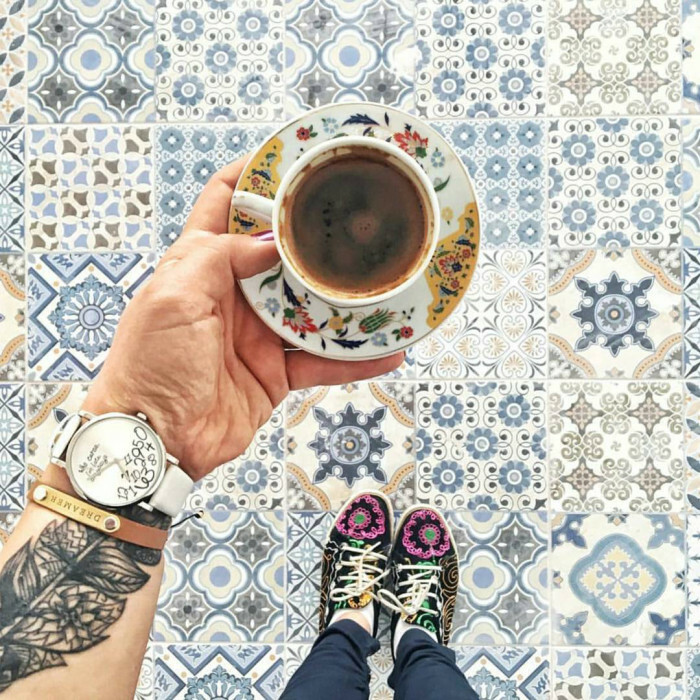 So many things here - that teacup, those shoes, the watch and tattoo, oh, and the tile! 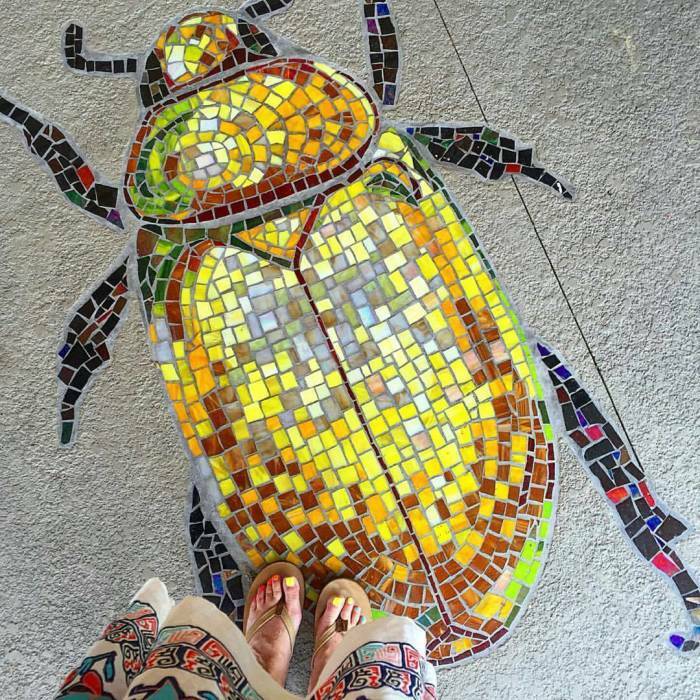 Sometimes the most special things are not above us, but straight down beneath our feet. 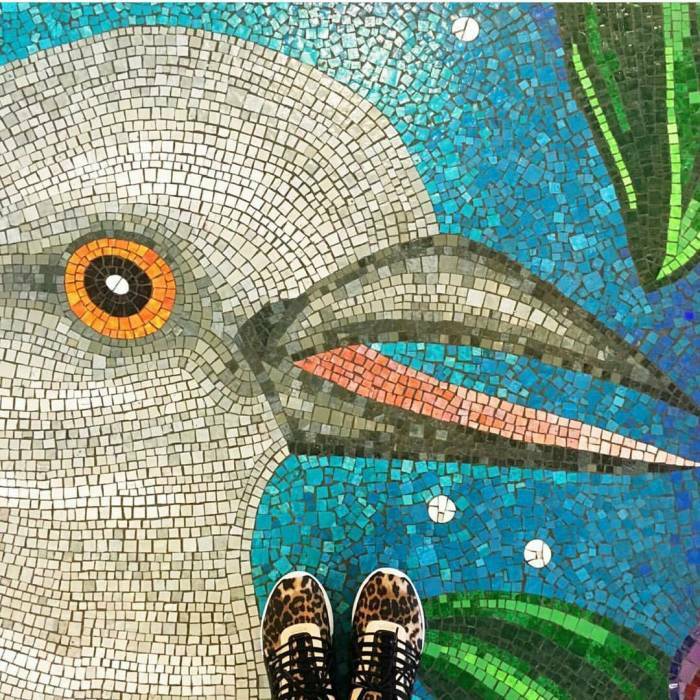 The next time you're out and about, start looking down, at the beauty right on the ground. 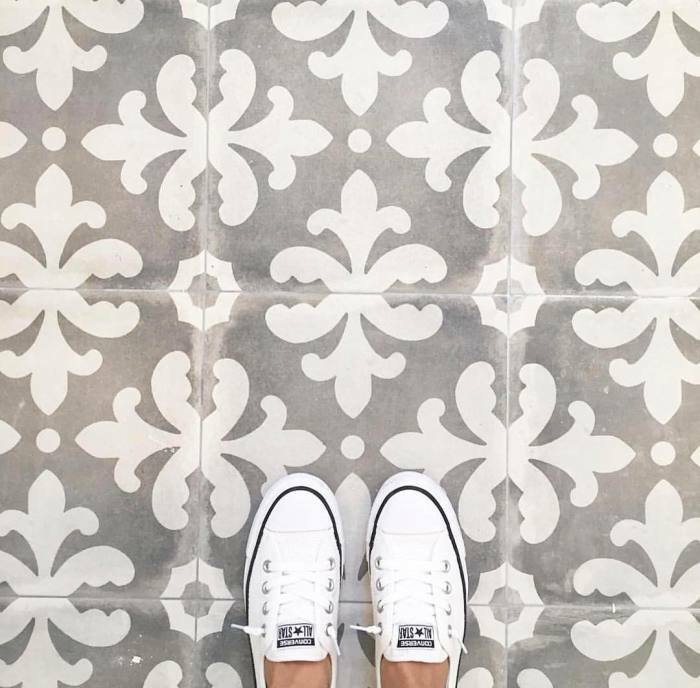 Explore these Instagram accounts and hashtags all about the floor. We hope you get hooked, we sure did!